From 1963 until 1976 Mr. Daffer was in charge of institutional sales for a full-line music store in the Washington, DC area. In 1977, he founded his own company, R. A. Daffer and Son Ltd, representing Rodgers Organs. 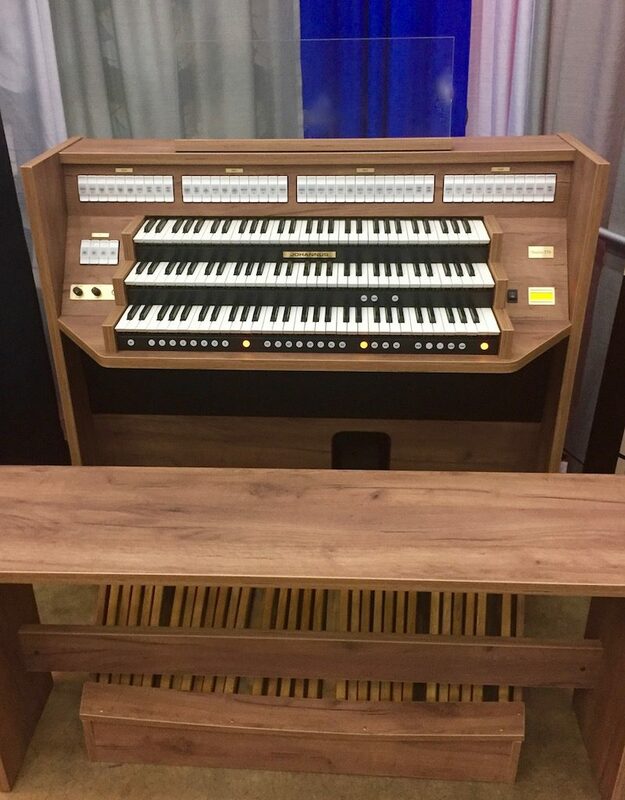 His vision was to create a company that would put the same care and effort in the installation of electronic organs that fine pipe organ builders put into their creations. Hundreds of Rodgers installations in the Mid-Atlantic area are testament to his vision and success. Beginning in 1994, R.A. Daffer Church Organs, Inc. has been the largest domestic representative of Rodgers Organs by sales volume. Today, they also represent the very prestigious Fratelli Ruffatti Pipe Organ Company of Padua, Italy. Position: Vice President of R. A. Daffer Church Organs, Inc.
Ken first began representing Rodgers in 1979 in Akron, Ohio. He studied organ at the University of Akron and was the organist at Montrose- Zion United Methodist Church in Bath, Ohio. In 1984 he transferred to the Tidewater, Virginia market and spent three years representing Rodgers in that fast growing area. In 1988, he moved to Maryland to join R.A. Daffer Church Organs, Inc and represent Rodgers in the Washington, DC market area. In 1996 he became a full partner in R.A. Daffer Church Organs, Inc. Since 1979, Ken has designed, installed and voiced hundreds of Rodgers organs. Ken is an Associate in the American Guild of Organists, a member of the Association of Anglican Musicians, and serves on the Music and Liturgy committee for the Episcopal Diocese of Maryland. He and his wife Margie reside in Ellicott City, Maryland. They are members of Cathedral of the Incarnation (Episcopal) in Baltimore, where Ken serves as Canon for Music and Worship. Al was born and raised in Sumter, SC. While attending the Baptist College of Charleston, two significant events took place – his introduction to the theater organ and signing up with a Naval Reserve unit in Charleston. In 1969, during his sophomore year, his reserve unit was activated, and he was ordered to Antigua, WI for two years. In January 1971, while still in Antigua, he flew home to hear a Community Concert by Virgil Fox on the Rodgers touring organ known as Black Beauty. After the concert, he was invited to have dinner with Virgil, Andy Crow, and David Snyder. This dinner lasted from 11:00 PM until four in the morning. These five hours were occupied by sitting quietly and listening to Virgil tell “Virgil stories”. This concert and dinner unknowingly changed Al’s future. He decided to remain in the Navy and in 1972 was transferred to San Diego. Almost immediately upon arrival in San Diego, he sought out the local Rodgers representative and purchased the first of six Rodgers organs he would own. In 1973, Al began a part-time, six-year job selling Rodgers and Gulbransen organs for Southland Music Center. In 1978, Al applied for a direct commission through the Navy’s highly competitive LDO (Limited Duty Officer program. He was commissioned in 1979 and transferred to Virginia Beach where he remained for 10 years and retired in 1989. While in Virginia Beach, he continued his association with Rodgers working for Parker Piano and Organ. Upon retirement, he was offered a position with R. A. Daffer Church Organs, Inc. and in 1996 was made a partner in the firm. 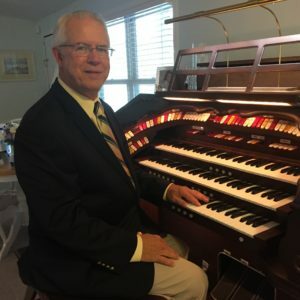 Al’s career with Rodgers and Ruffatti pipe organs has presented him opportunities to work with the finest concert organist from both the classical and theater organ environments. These artists included talents such as Virgil Fox, Ted Alan Worth, Felix Hell, Cameron Carpenter, Keith Chapman, Fred Swann, Joyce Jones, Richard Purvis and John Weaver as well as Lyn Larsen, Gaylord Carter, Jonas Nordwall, and Ethel Smith. Al’s extensive career has earned him great respect among his peers, and he is often sought out for advice and training by other Rodgers representatives. Al and his wife, Sharon, reside on Lake Gaston, North Carolina. They have two grown children and three grandchildren. 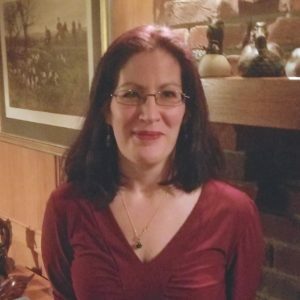 Al is active in a number of AGO chapters and is sub dean of the Central NC Chapter and Vice President of the Old Dominion Theater Organ Chapter. A native of Burlington, North Carolina, David Lang received his Bachelor of Music degree in both choral music education (grades K-12) and sacred music from Appalachian State University in Boone, NC. He attained his Master of Music degree in organ performance from the University of Louisville. He has studied under such keyboard luminaries as H. Max Smith, Melvin Dickinson, Marilyn Keiser, and Bruce Neswick. 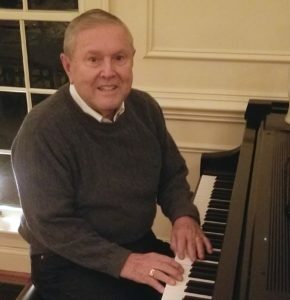 Prior to living in Washington, DC, Mr. Lang was Director of Music for the Roman Catholic Cathedral of the Assumption in Louisville, KY from 1983-2000. He served as Artistic Director for The Louisville Youth Choir as well as Professor of Organ for Bellarmine University. Mr. Lang has conducted tours of Italy and parts of the United States with choirs of both adults and children. He has been a featured artist and guest conductor for state, regional, and national conventions of the American Guild of Organists (AGO), American Choral Directors Association (ACDA), Music Educators National Conference (MENC), and National Pastoral Musicians (NPM). David is the Director of Music/Organist for St. Dunstan’s Episcopal Church in McLean, VA, organist for Washington Hebrew Congregation and Artistic Director for The Reston Chorale. 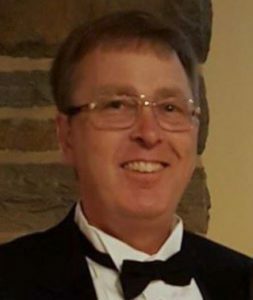 Dave joined R. A. Daffer Church Organs, Inc. in 1979 after having several years in the Tidewater, Virginia area as a Rodgers technician. Dave has been responsible for hundreds of Rodgers installations and is one of the most respected service technicians in the Rodgers Dealer Network. Dave studied organ at Old Dominion University in Norfolk, Virginia and is the organist at Mount Vernon Place United Methodist Church in Washington, DC. Bill Teyssier joined the staff of R. A. Daffer in September, 1988. Prior to joining the staff at R. A. Daffer, Bill worked for the Rodgers Organ Company from 1979 to 1986. Bill apprenticed as a pipe voicer at the Rodgers Organ Company pipe shop in Erie, Pennsylvania under Ferenc Gyuratz, former head-voicer for Tellers Organ Company, Erie, Pa and Phelps Organ Company, also located in Erie. During this time, Bill was one of the tonal finishers for the Rodgers Company and travelled extensively throughout the United States voicing combination pipe-electronic organs. He worked with many well-known organists such as Dr. Joyce Jones (home installation), Frederick Swann (home installation), Dr. Keith Chapman, Ted Alan Worth, and Diane Bish. 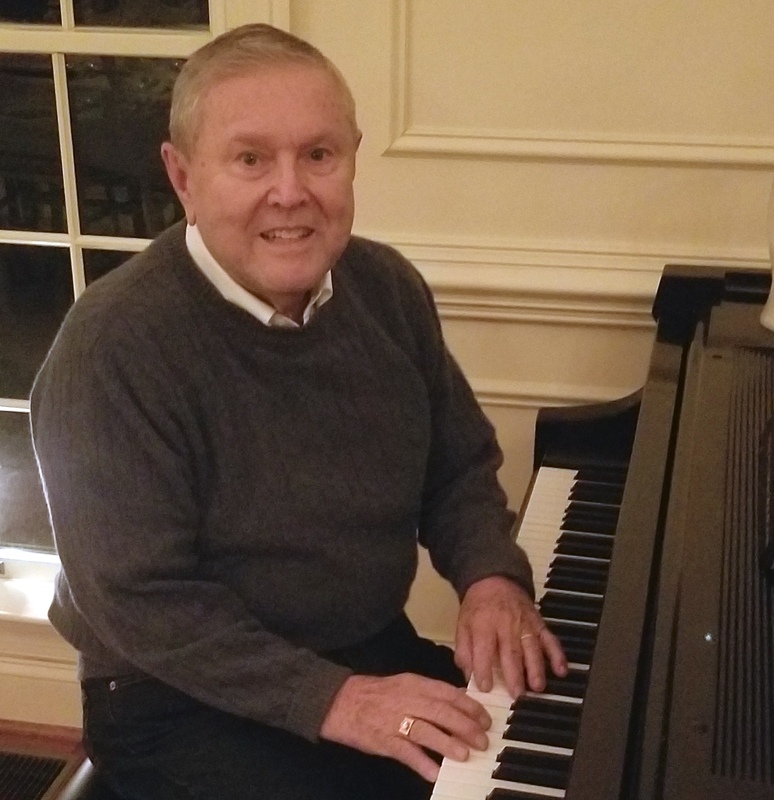 In 1986, Bill joined the staff of Altenburg Piano House in Elizabeth, NJ as pipe voicer, tuner and salesman for Northern New Jersey. 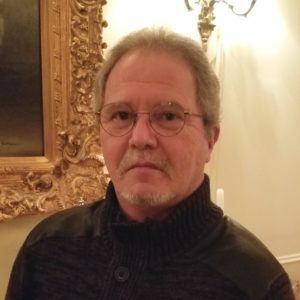 After leaving Altenburg Piano House in 1988, Bill joined the staff at R. A. Daffer as a pipe voicer, tuner, installer and general maintenance. 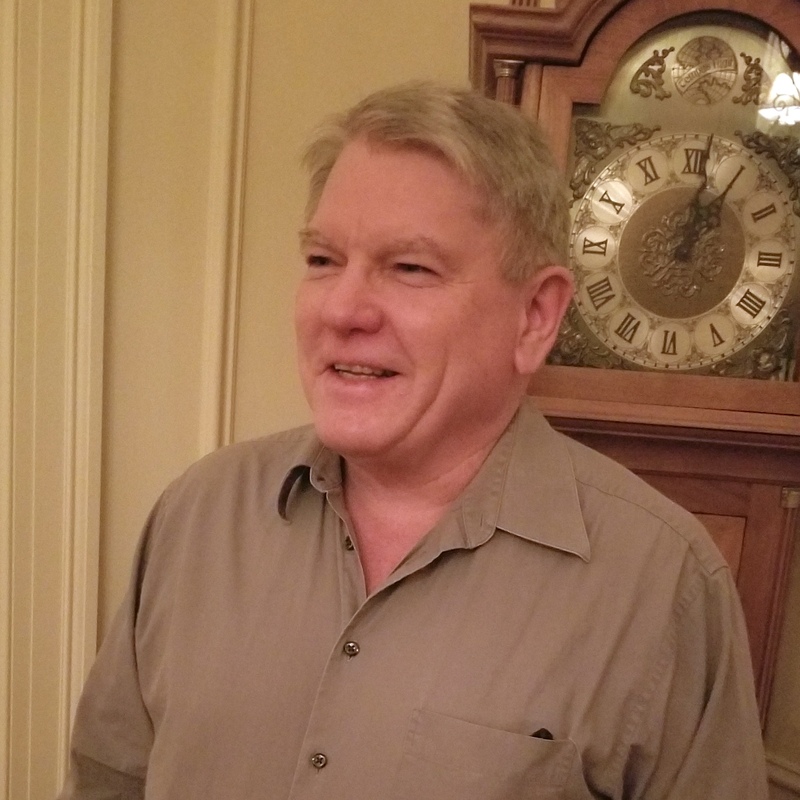 During this time, Bill has worked on many major organs in the Baltimore/Washington area in the capacity of pipe organ tuner and voicer/tonal finisher. He is also able to troubleshoot and do repairs on Rodgers digital organs. Kim is responsible for keeping the whole company organized. Her duties include filing, billing, ordering and handling all the telephone traffic from customers and prospective customers.